While spring is still off in the distance a bit, it will creep up quickly. When spring does come around many home owners look to their landscape and think about what they would like to change and how to go about it. Some home owners decide to undertake projects by themselves, which can work for those that already have the specific knowledge. However, for the majority of home owners, a new landscape or hardscape project can become overwhelming pretty quickly. 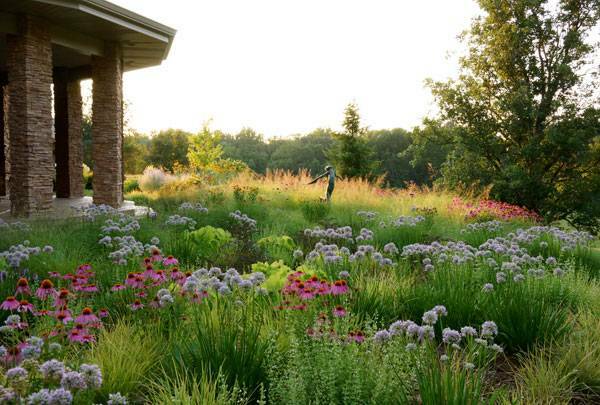 What Is a Landscape Designer and Do I Need One? A landscape designer does just what their title says, they design the landscape for you. This includes pathways, plants, patios, water features, decks…pretty much anything related to outdoor living. 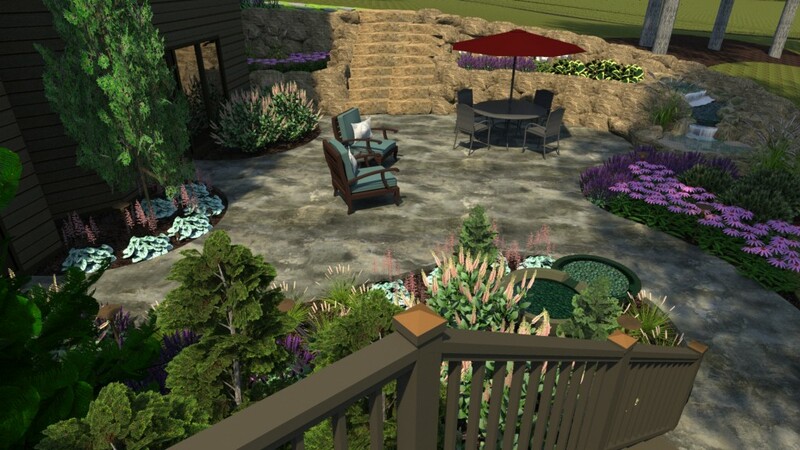 Our expert landscape design team will design a landscape that you will see in 3D. Check out some of our past projects here. No more of that 2D stuff from the 90’s, where you can’t tell if that symbol is supposed to represent a shrub or a tree. 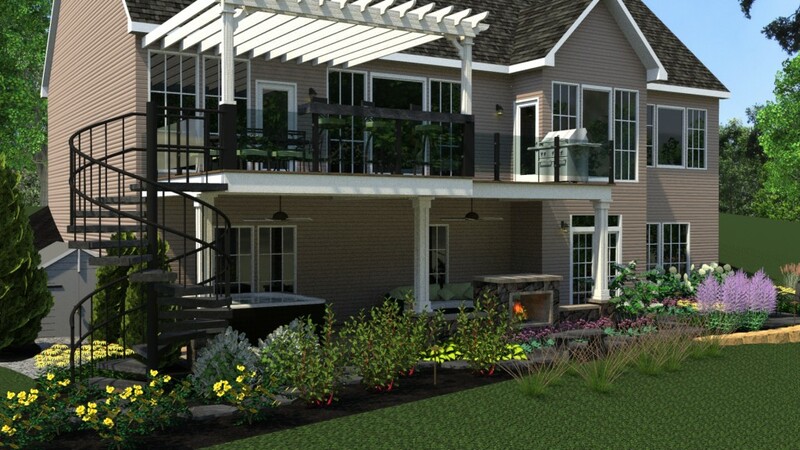 Typically, we always give the home owner a landscape design when they come to us for their next project. Here are the top reasons why we do this. For those of us who aren’t good at visualizing what something will look like after completion, you get to see what your landscape will look like before we even start. Changes to the landscape design are quick and simple, again, all before we start. We want to make sure you are happy with the design first! There may be an area in your landscape that you never thought to include or maybe the original idea you had in your head won’t work after seeing it in 3D. There are many different reasons why we include a landscape design for our clients, but really it all boils down to expectations and how we can meet or exceed yours. But Do I Need A Landscape Designer? Technically no, but do you build a house without an architect or a similar type of company to lay it all out for you? We take care of all the details, from start to finish. Overall, it will your life easier. You won’t need to do any research for yourself, because we already have the knowledge of the plants that survive and thrive, and those that just won’t make it through our winters. You don’t need to know about amending the soil, or what plants make good companions and which are frenemies, no worries about how to build that dream patio, or if any of the ideas you have are feasible. We take your ideas and landscape desires and turn them into something that will work and that you will love.